BOISE – Ken Miller, the Snake River Alliance’s first and thus far only clean energy program director, will receive a coveted regional award during SRA’s annual spring dinner on Wednesday, May 7, at Boise’s Linen Building. The NW Energy Coalition will present its annual Headwaters Award to Miller in honor of his tireless promotion of energy efficiency, renewable energy and economic development in Idaho and the Northwest. The award’s name refers to the headwaters of the Columbia River, and honorees receive a vial of water from the Columbia headwaters in Canada in addition to a plaque. One of Miller’s great triumphs was winning a moratorium on building coal plants in the state as part of a powerful campaign against new fossil- and nuclear-fueled power generation in the state. His work with Idaho’s Public Utility Commission to protect Idaho Power Co. customers is legendary; his regular Idaho Energy Update column is highly anticipated and well respected throughout the region. Miller worked as the NW Energy Coalition’s Idaho energy advocate before taking the Snake River Alliance’s new clean energy position in 2007. In his first career as environmental journalist, he covered such issues as introducing gray wolves into the Northern Rockies, Florida Everglades restoration, protecting Hawaii’s tropical forest and toxics in Idaho’s Coeur d’Alene Basin. He also worked as education and outreach coordinator and then policy coordinator for the Boise-based Winter Wildlands Alliance. 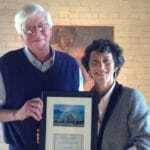 In recognition of his extensive service, the NW Energy Coalition board unanimously endorsed Miller for the Headwaters Award during its November 2013 meeting last November. 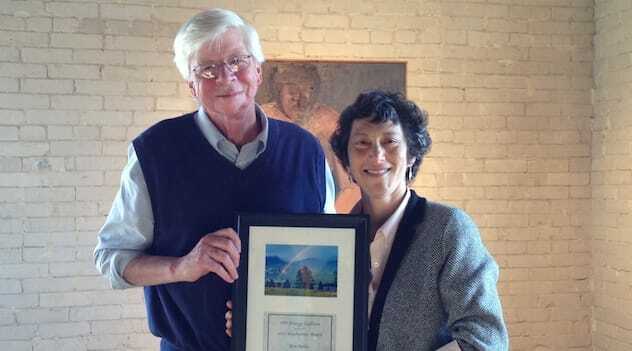 To attend SRA’s spring dinner and see Miller get his award, visit www.snakeriveralliance.org or call (208) 344-9161. Members of the press are welcome at the event, but space is limited for the dinner. For more information on the NW Energy Coalition, visit www.nwenergy.org. Montana, Oregon, Washington state and British Columbia.